The original version of the BBC's Red Button service, the replacement for Ceefax on digital TV, has been given a refresh on Freeview this month. 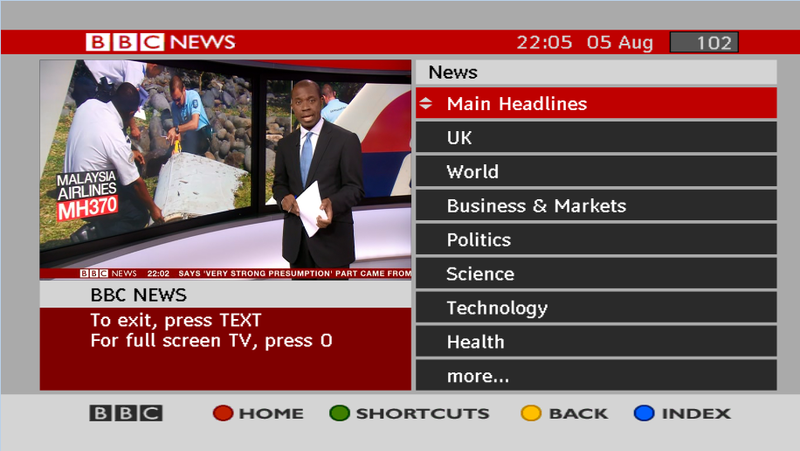 Starting with a refreshed 'press red' prompt through to simplified graphics and a lighter background, the service enjoys a cleaner look, bringing the digital text service closer to how it looks on other platforms, such as Freesat, although certain features and graphic effects are still missing. The press red prompt looks less stretched on widescreen TVs, but isn't automatically disappearing on the BBC News Channel, where viewers need to press green to remove the prompt. There are no noticeable changes to actual content, which is a simplified version of what you can read on the BBC News website. 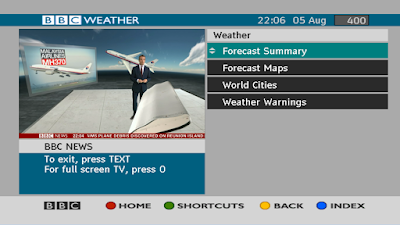 Users of some smart TVs can access the next generation of BBC Red Button: "Red Button+", which offers weblike graphics and is fully optimised for widescreen and HD TVs. The original BBC Red Button service is available all BBC Freeview TV channels, except the HD versions of CBeebies, BBC Four and BBC News. Click or touch the images to enlarge. Still favour this over the connected service for actually reading stories - and it's arguably easier to navigate than the mobile apps. Looks cleaner though the background is a bit bright. 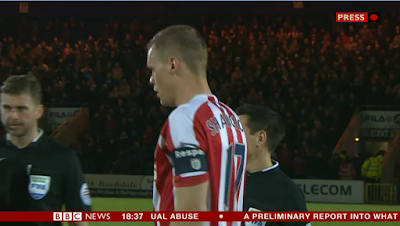 Are BBC Red Button working at all though on bringing Red Button+ to some older Freeview HD devices which can go to the iPlayer/BBC Sport app etc. but through a text menu rather than the connected red button interface? 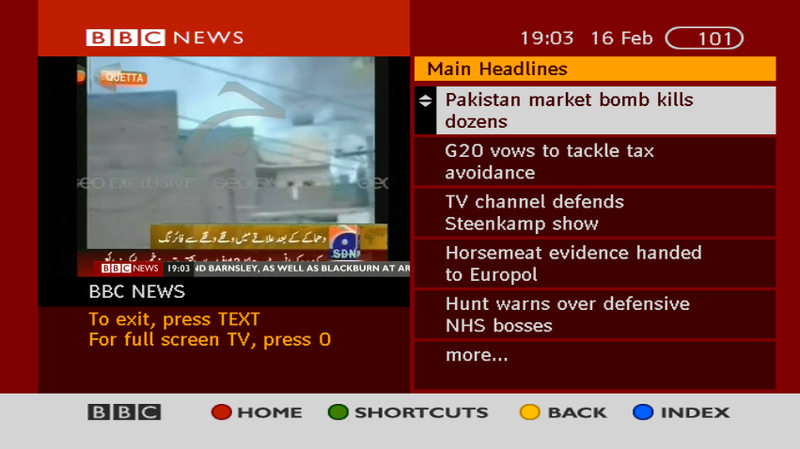 The "optimised for widscreen TVs" for RedButton+ implies that normal RedButton is still optimised for 4:3 TVs. Why? They must by now represent a small fraction of all TVs in use, and even smaller fraction of RedButton use. As you can see from the screenshots above, the bottom banner with the shortcuts appears quite stretched on widescreen TVs, they weren't quite as bad on 4:3, you don't get that stretched effect on BBC RB+ and BBC smart TV apps.